A jury trial was averted Tuesday in a Blaine County methamphetamine sales case when the defendant pleaded guilty instead. 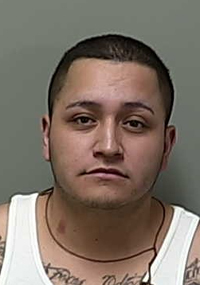 Carlos Moya-Diaz, 29, of Hailey, admitted at a 5th District Court hearing Tuesday morning to trafficking in methamphetamine, a crime punishable in Idaho by up to life in prison. Details were not immediately available regarding a plea agreement with the Blaine County Prosecuting Attorney’s Office. However, plea agreements typically involve reduction of a charge to a lesser offense or a commitment on the part of prosecutors to ask for a more lenient sentence than allowed by law. Moya-Diaz has served a prior term in prison. He was convicted in Blaine County in 2007 of delivery of a controlled substance and sentenced to six years in prison, with three years determinate and three years indeterminate. In the current case against him, Moya-Diaz was charged with trafficking in methamphetamine in a Blaine County grand jury indictment issued on Feb. 27. The indictment states that Moya-Diaz sold 63 grams of methamphetamine to a police confidential informant on Jan. 21. Moya-Diaz was one of four men charged with felony methamphetamine crimes in the indictment. He was arrested along with the other defendants on March 20. Sentencing was scheduled for Oct. 27. Moya-Diaz, who is currently free on $15,000 bond, is represented by Hailey attorney Douglas Nelson.